Executive Search Portal – a focused topic and talking point solution for management. Also a reseller for vulnerability solutions from OPSWAT (Metadefender) and Relationship Analytic software from TrustSphere (TrustVault and Links Within). Trusted provider of services to Defence. 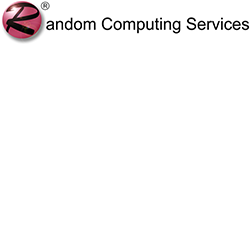 Random is an Authorised reseller and provider of services for OPSWAT’s Metadefender in ANZ. Metadefender is a powerful, flexible security solution for IT staff, providing simultaneous access to multiple anti-malware engines, heuristics, data sanitization and additional threat protection technologies residing on a single system. It uses up to 40+ anti-malware OEM engines to scan files for threats, significantly increasing malware detection. Metadefender can analyze large databases of files, provide extensive data points about which engines have detected each threat and is easy to use alongside other analysis software, including dynamic analysis solutions, to provide detailed contextual information about files. Long history of working with the highest levels of staff in the organisation; Chiefs, Ministers etc. Able to infuse new technology seamlessly.